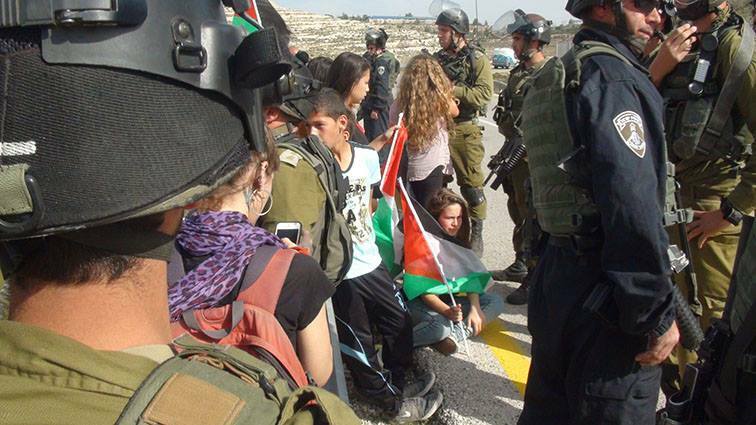 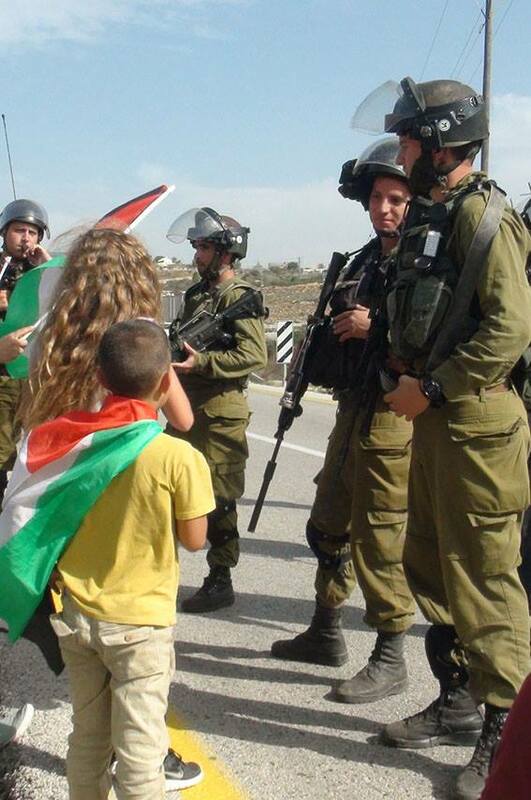 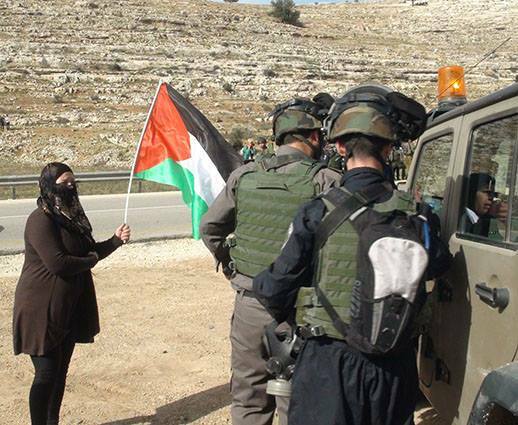 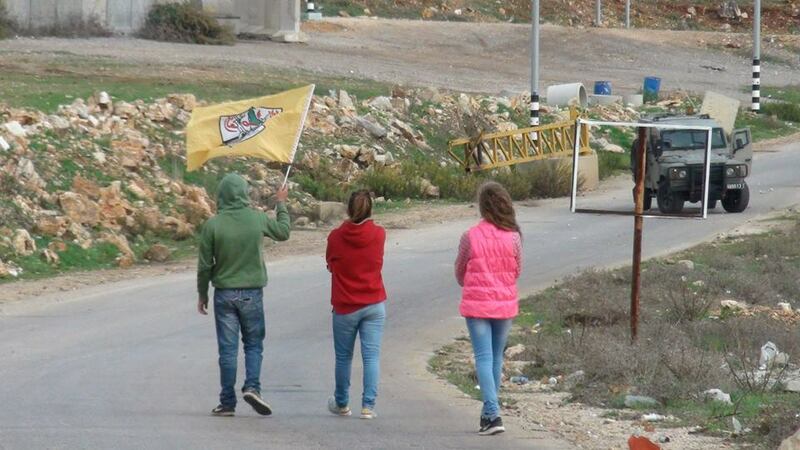 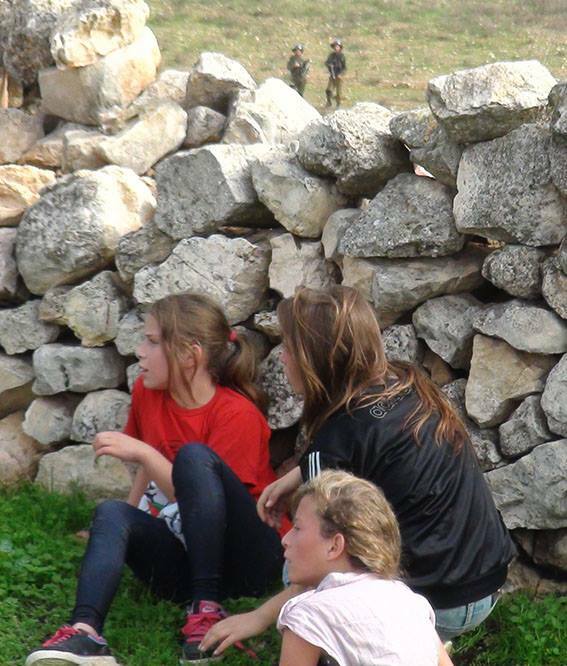 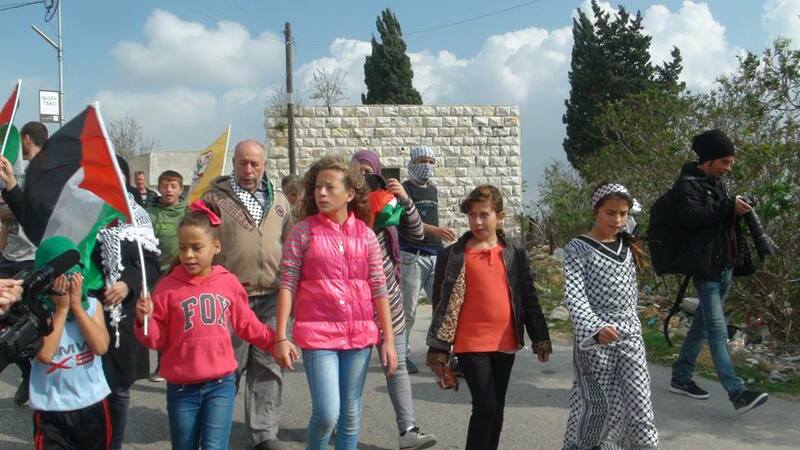 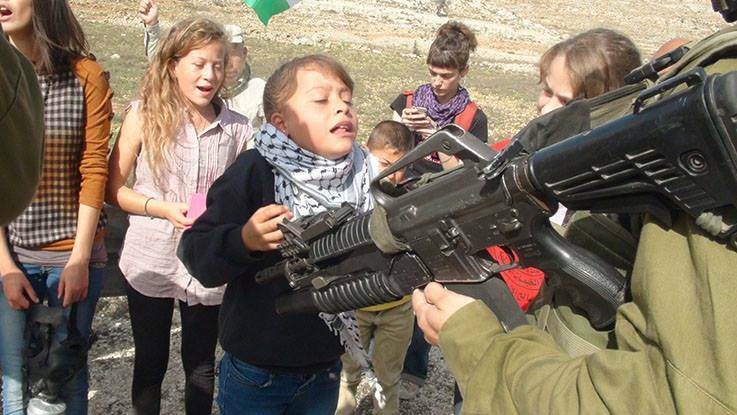 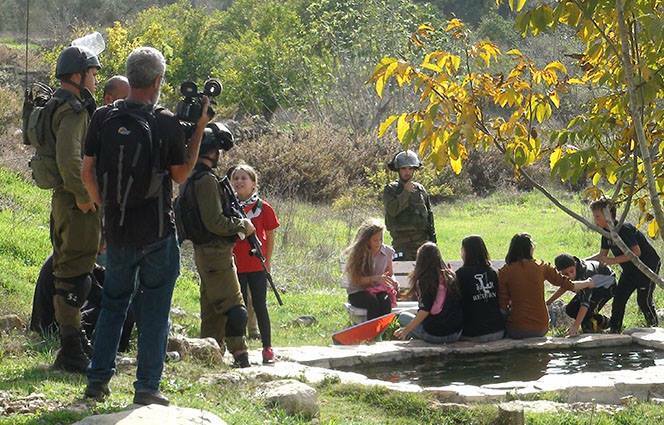 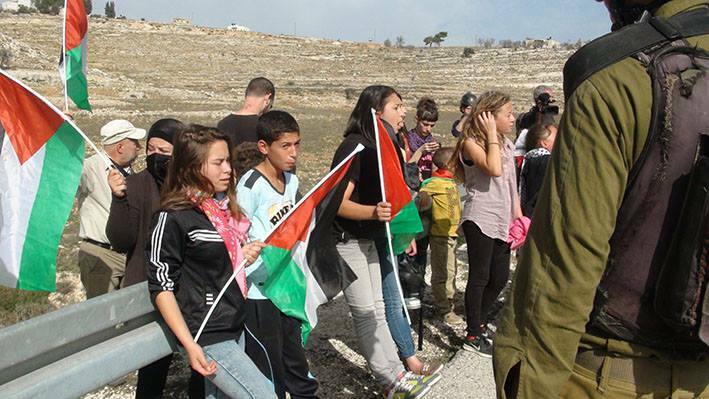 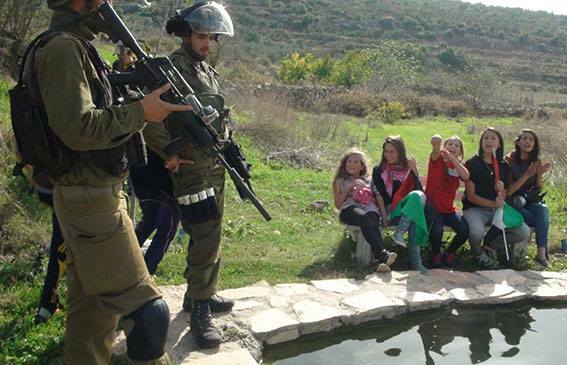 At today’s protest the girls & women of NabiSaleh sing of freedom in the face of Israel occupation forces. 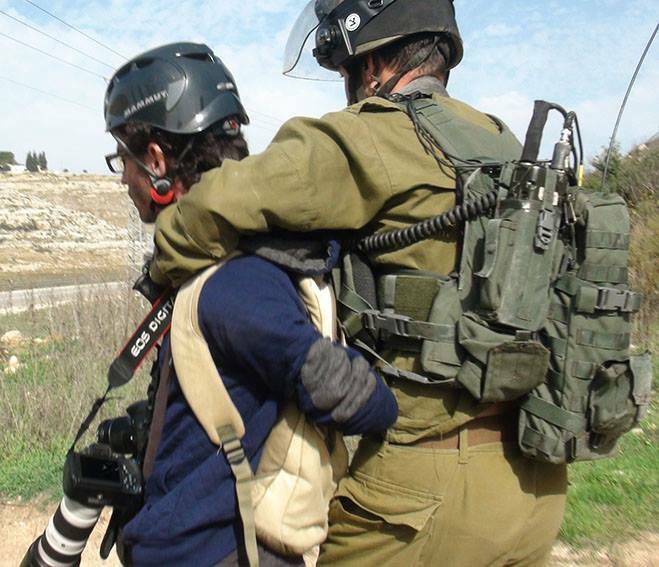 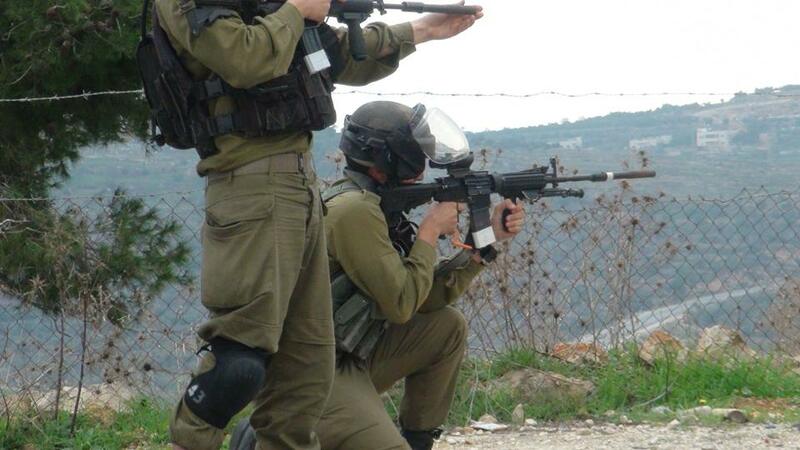 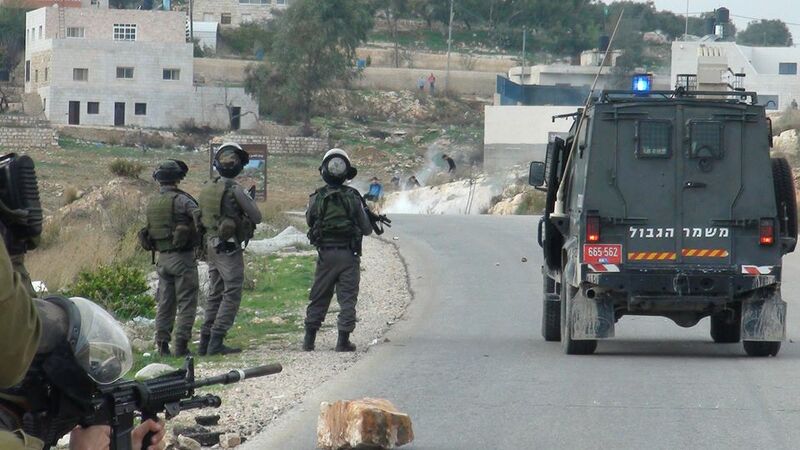 Activists on the ground in Nabi Saleh also report Israeli Occupation forces firing both steel coated rubber bullets and live ammunition at unarmed protesters. 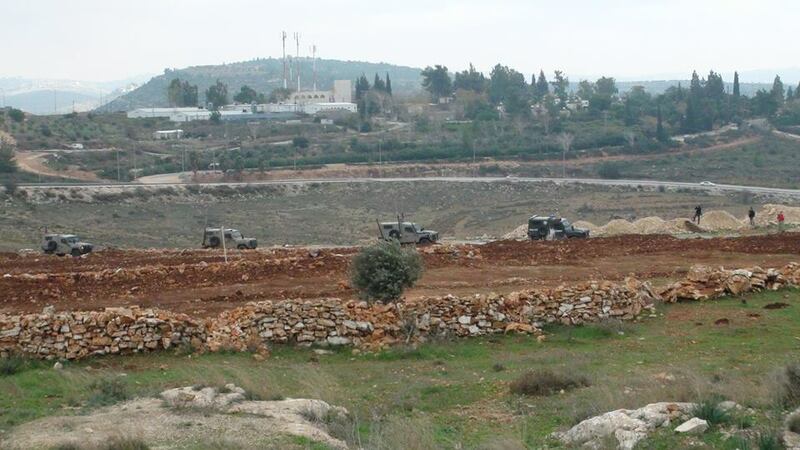 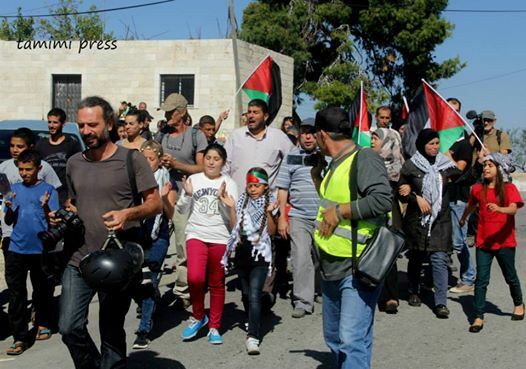 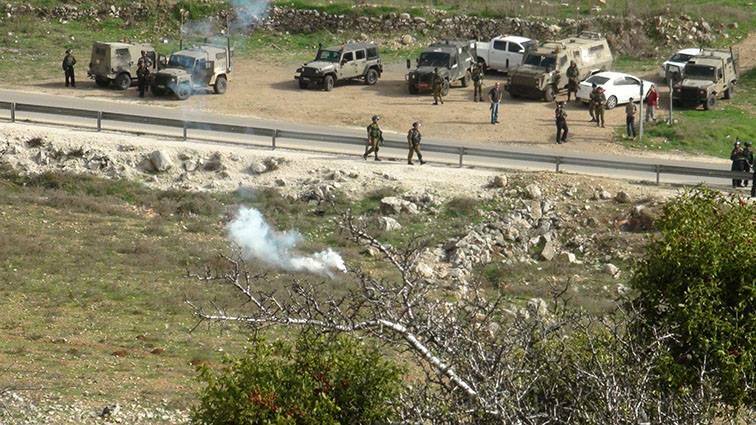 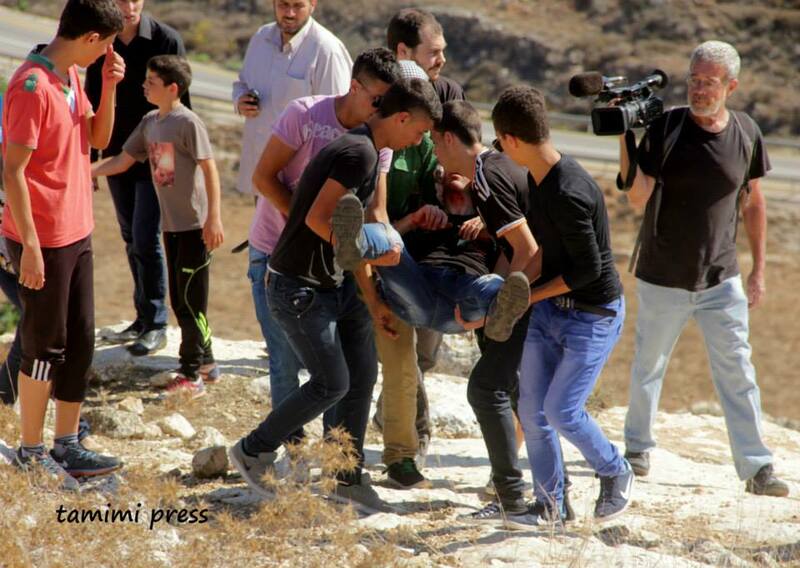 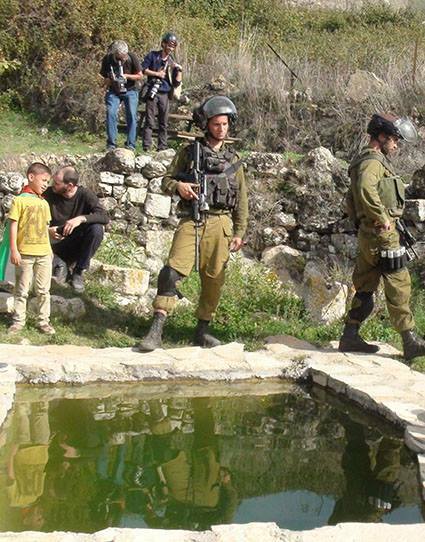 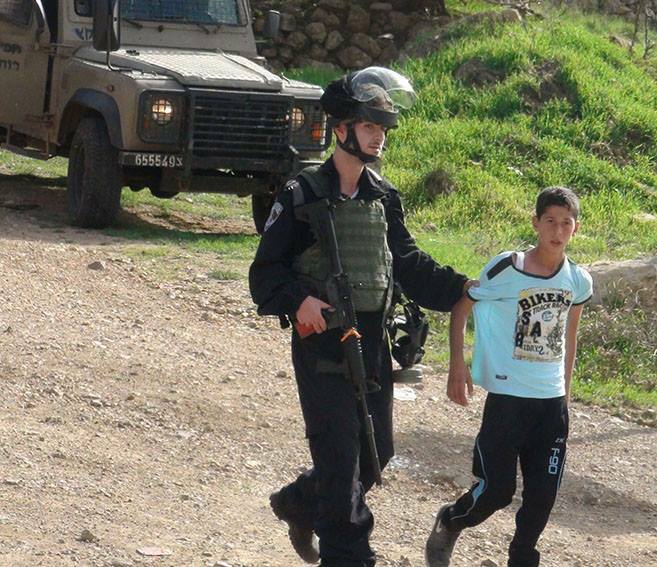 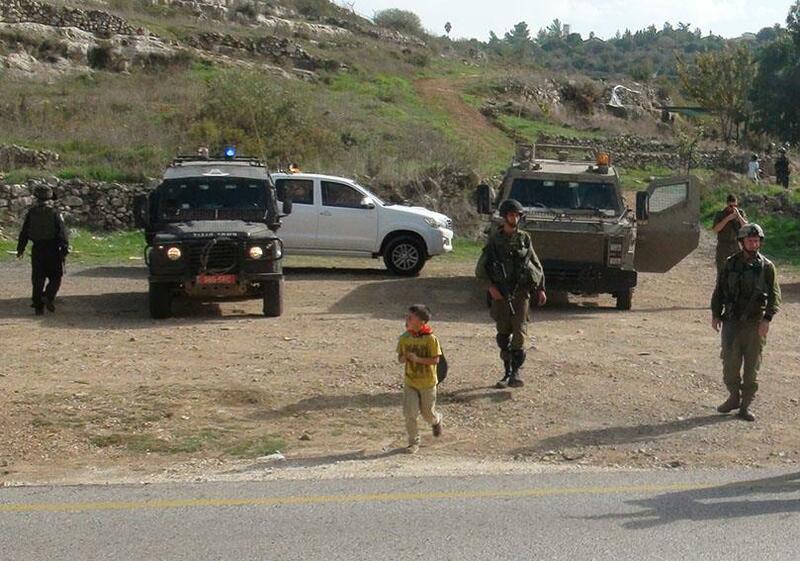 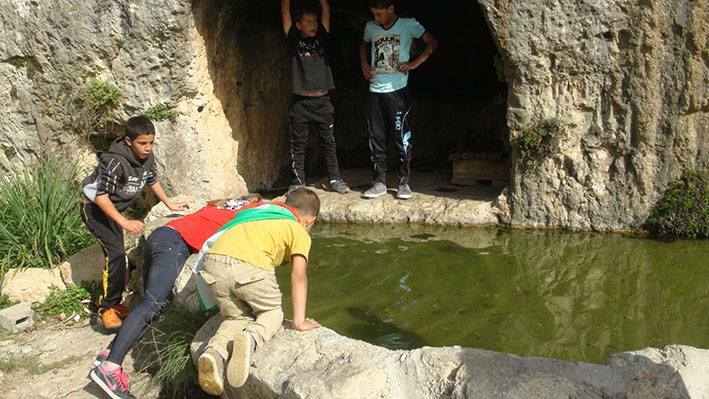 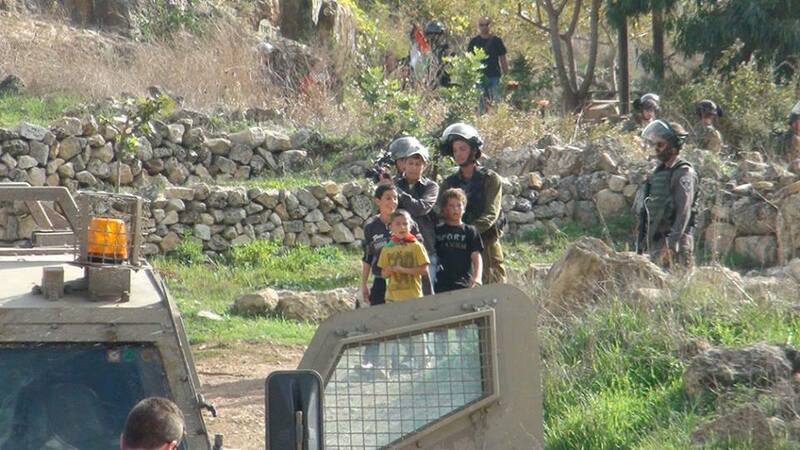 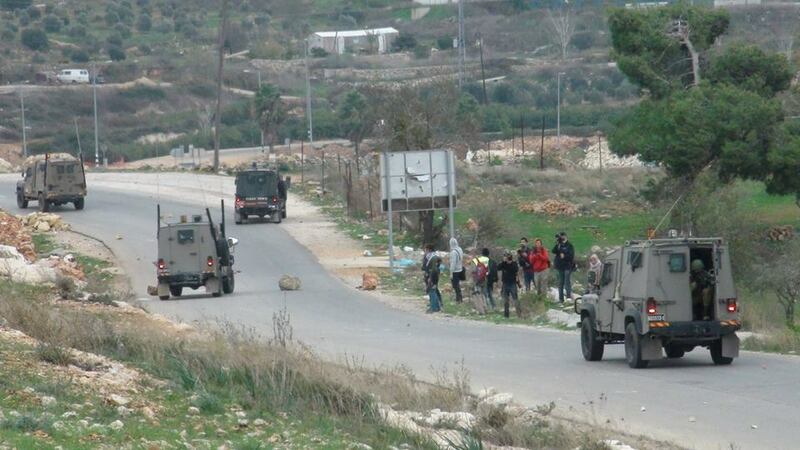 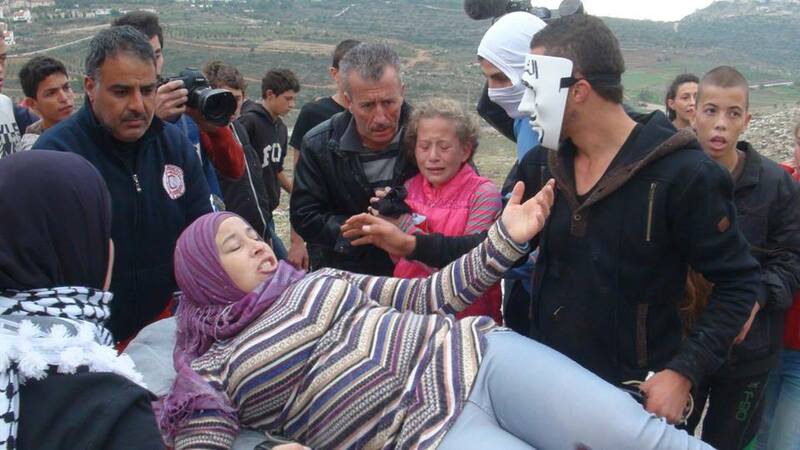 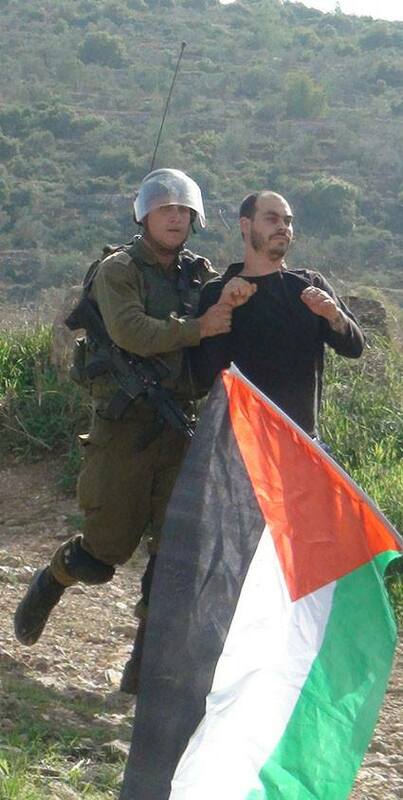 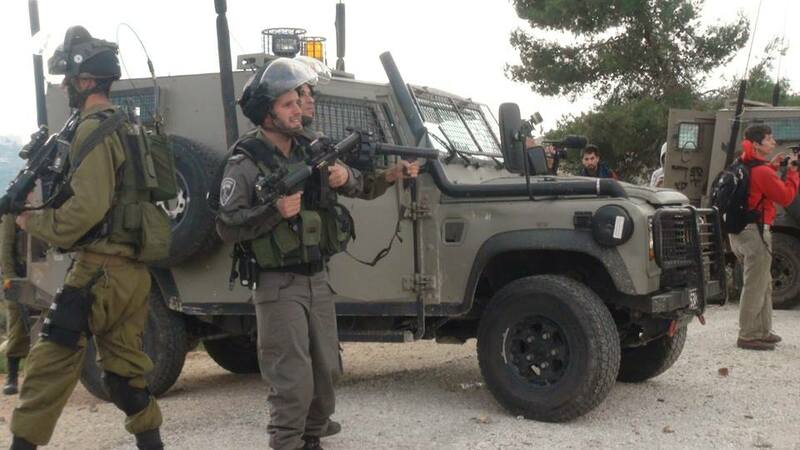 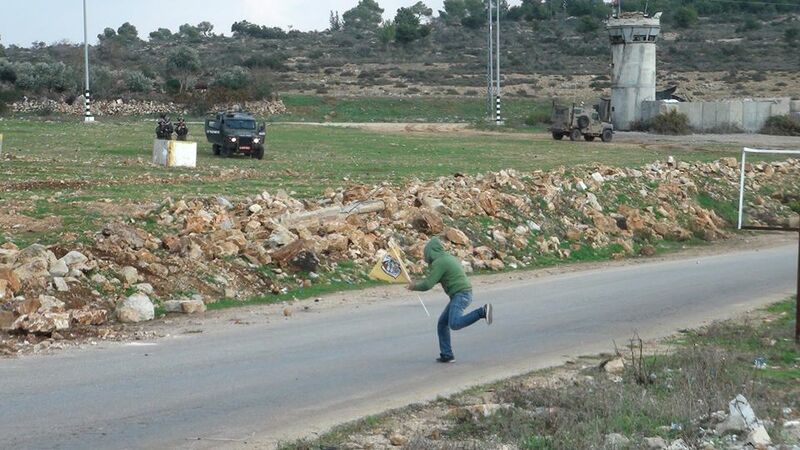 Israeli occupation forces once again attacked the weekly protest in Nabi Saleh against the occupation. 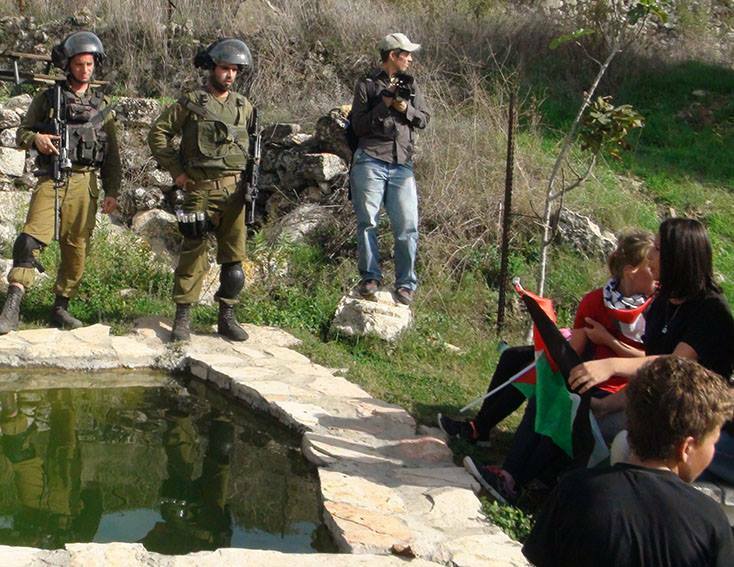 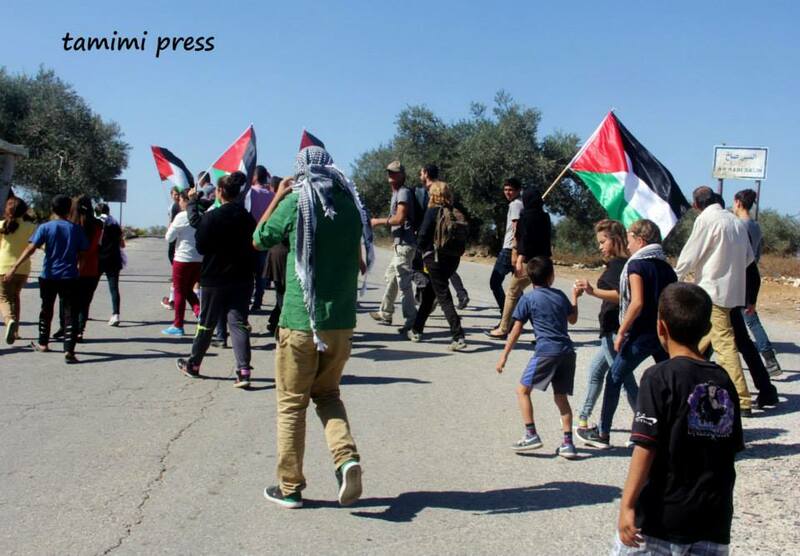 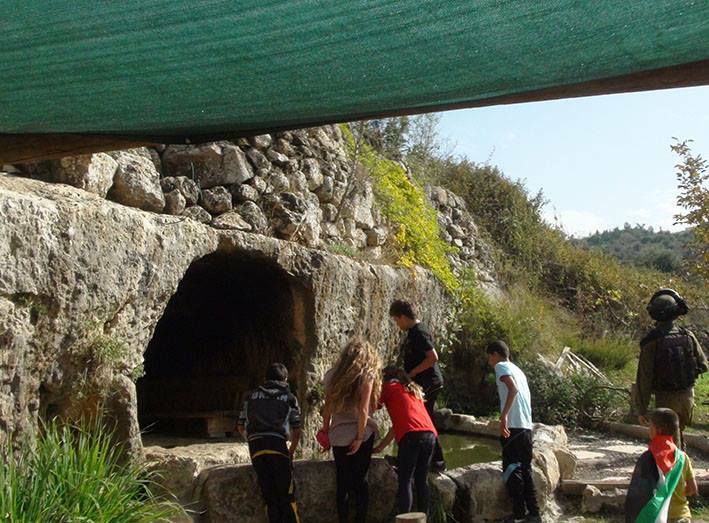 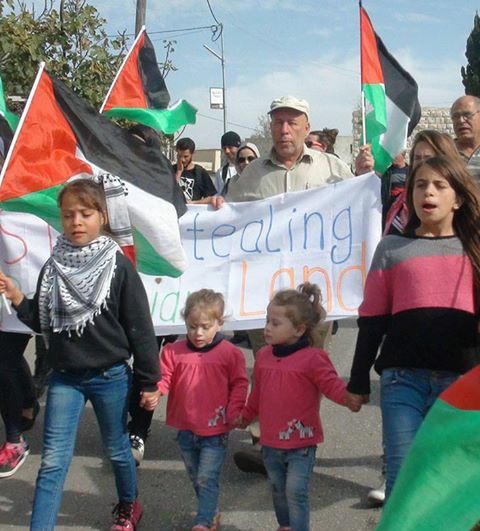 The non-violent protest marched towards the village’s land which has been confiscated by the illegal Israeli colony of Halamish. 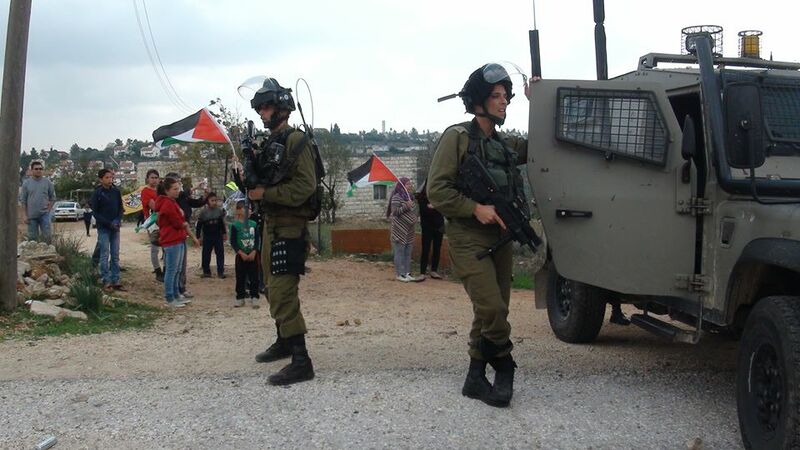 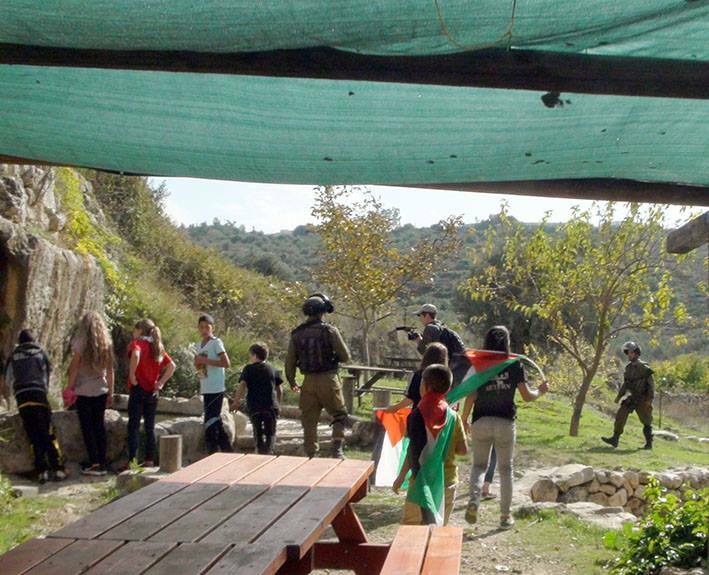 Residents and supporters chanted slogans condemning the occupation and settlements. 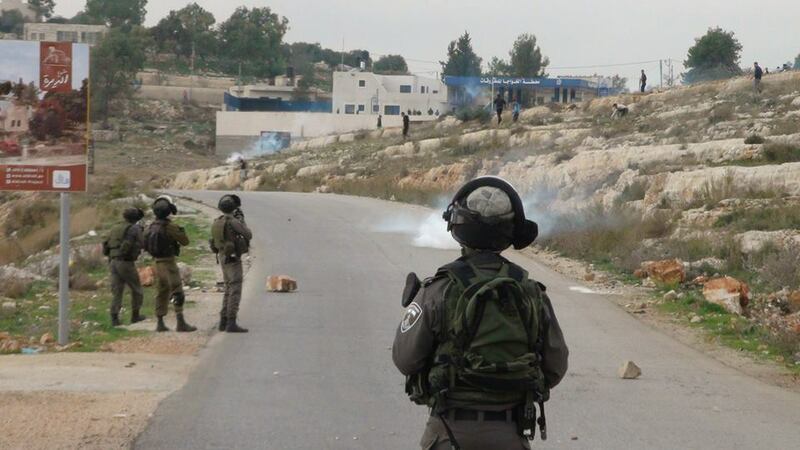 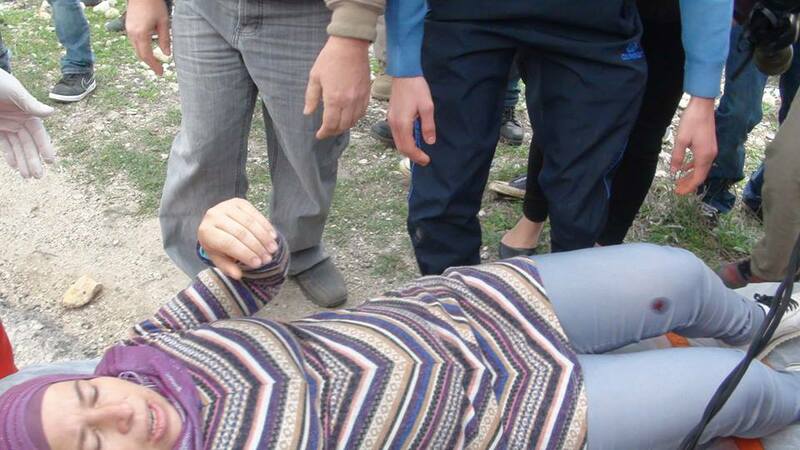 Immediately after the arrival of the rally off the land confiscated by the occupation, Israeli occupation soldiers fired on the unarmed protesters with rubber coated steel bullets and tear gas, wounding dozens of cases of suffocation.